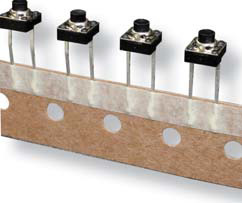 Ammo packaging is available on the IP67 process sealed STK Series process sealed tactile switch. 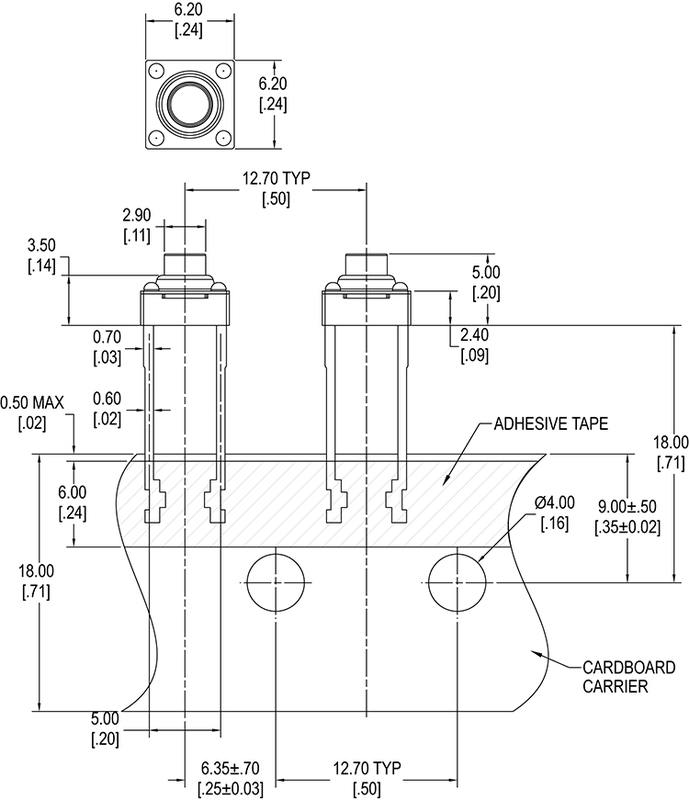 Actuator length options range from 4.3mm up to 7.0mm. With a stainless steel contact dome, the STK momentary SPST switch offers actuation force choices of 160gF or 260gF.